For most of us, the idea of a construction site conjures up images of cranes, jackhammers, and hardhats. And while those things are pervasive for a reason, the modern construction site has become a place where the most valuable assets often go unseen. That is, a technological infrastructure shaped for the unique demands of this industry, catering to a project-based workflow, high distribution across job sites, and frequent employee collaboration. In recent years, there has been growing interest in the position of "Construction Technologist". The construction technologist is something of a hybrid specialist, combining IT, construction, and business goals, to position their employers for long-term success. Not only do construction technologists centralize and manage priorities, they can act as the liaison between their company and a managed service provider, if their organization has chosen to hybridize or outsource IT needs. Construction technologists also alleviate the pressure placed on staff who are trying to balance IT and other responsibilities. In many cases, J.B. Knowledge analysts found that "those working on IT are shared resources with conflicting priorities - and one of their responsibilities, either their day job or their IT duties, will suffer." At present, 21.9% of respondents have a "staff with IT responsibilities but not a dedicated department"
Beyond the adoption of new products, a lack of managerial expertise also hampers the quality of data security. Tip: Cybersecurity training doesn't have to be a struggle - here are five ways to engage employees and secure your data. As mobile and multi-purpose devices continue to carve out a place on the modern construction site, there will have to be greater consideration for data security. Given the prevalence of BYOD policies, the blurring of personal and corporate data, as well as the treatment of hardware and software, must become a key issue for construction-based IT employees. 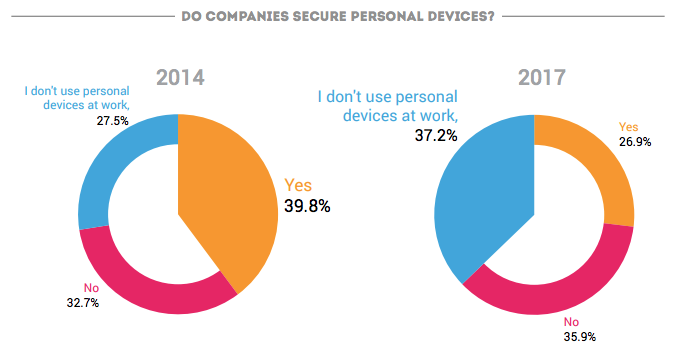 Tip: The most efficient workforce is a mobile one - here is a quick guide to securing company data, across all devices. There are a few possible reasons for this decrease. The first is that popular solutions may be supporting more features, rendering additional software redundant. It may also be that contractors are still seriously underestimating the importance of IT integration. Or, it is possible that respondents trimmed down their tech tools due to budgetary or implementation constraints. Regardless of the reason, it was observed that these "solutions are being adopted at the departmental level, without considering how the data enters and leaves the department." Again, this points to a disconnect between the purchasers of IT solutions, and the employees who actually use them. 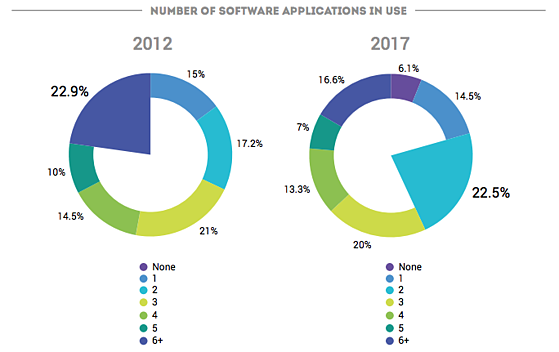 From a workflow perspective, "Accounting" and "Project Management" software are currently the most commonly adopted by construction companies. 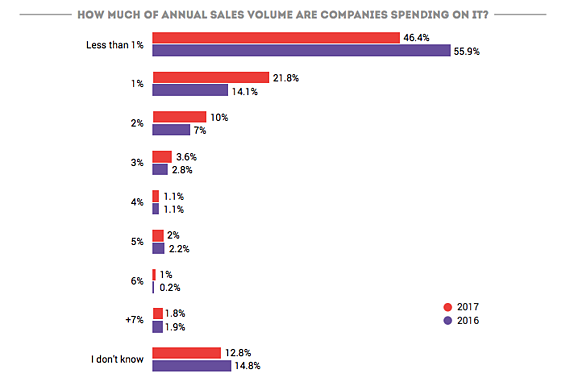 Despite the growing prevalence of digitized workflows, many businesses are still relying on a combination of spreadsheets and software. This duplication often results in lost time, efficiency, and increased risk of data loss or corruption. As companies mature and update processes, these digital workflows should predominate, eliminating further redundancies. Construction companies across the Northeast are catching on to the business benefits of outsourced IT. Watch the video below to learn how iCorps has been able to scale with Windover Construction in Massachusetts. For an industry like construction, technology and long-term IT planning can no longer be an afterthought. By leveraging the benefits of iCorps' outsourced and hybridized IT, your company can focus on what really matters - a quality product and business longevity. For more information, contact an iCorps expert today.